Everybody loves Josh Rogan. If you saw him perform at Alumaflamingo, you know what we’re talking about! He’s a down to earth guy that really connects with his audience. Great news: Josh will be bringing his original songs (and crowd favorites) to Alumapalooza 5! 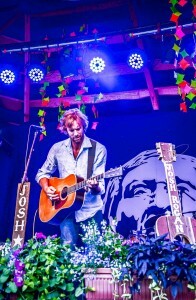 An acclaimed singer, songwriter and guitarist, Josh is also Airstream fulltimer who travels the country between gigs in a vintage 1962 trailer with his wife Eliza. He was featured in the Summer 2013 issue of Airstream Life magazine. Check out his website to learn more about Josh and hear some samples of his music, sometimes described as “southern grit”, “dark, bluesy rock” or “rock and roll soul”.